Learn to activate the 3 Gluteal muscles and effectively loosen the tissue in clients. When these muscles are properly liberated, lower back pain is diminished, our core strength increases, knee discomfort is alleviated, and balance is restored. Dianne, or Mo, as she prefers to be called, graduated in 2011 from Southwest Institute of Healing Arts. 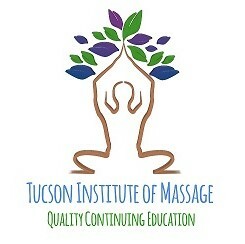 Having been inspired by her own massage instructors, she set upon her career to learn as much as she could about different and varying venues that a career in massage therapy can take a therapist with the intent of one day becoming a massage therapy instructor, Mo began fine-tuning her skills and sought out continuing education in Austin, TX and Northern California. She began her teaching career at ASIS Massage Education in 2015 while working as a massage therapist for Miraval Arizona Life in Balance Spa. In 2017 she joined Cortiva Institute as a full-time instructor from 2017-2018 and is currently working for Greentoes North as an LMT and takes private clients at Affordable Massage Healing. and 12 Hands Massage Therapy & Bodywork. Neuromuscular therapy (NMT), sometimes called trigger point therapy, is a targeted, deep tissue massage technique. Concentrated pressure is applied to key points in order to relieve muscle spasms. It is often combined with other techniques as part of a deep tissue session. While regular deep tissue massage is meant to alleviate general, chronic muscle tension, NMT is mean to address postural problems, nerve compression, ischemia and improper biomechanics. Referred pain, or dysfunction in one area causing issues in others, is often addressed with NMT. NMT continuing education courses will teach you how to identify common trigger points and referred pain as well as how to approach them without pain or bruising.